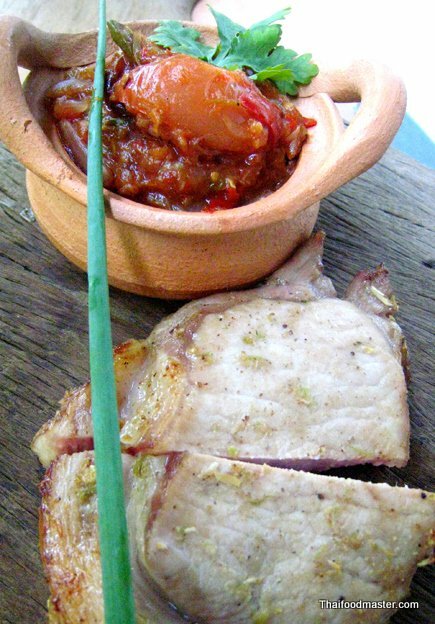 A dish, like a smell or a color can be so evocative in their place or time. 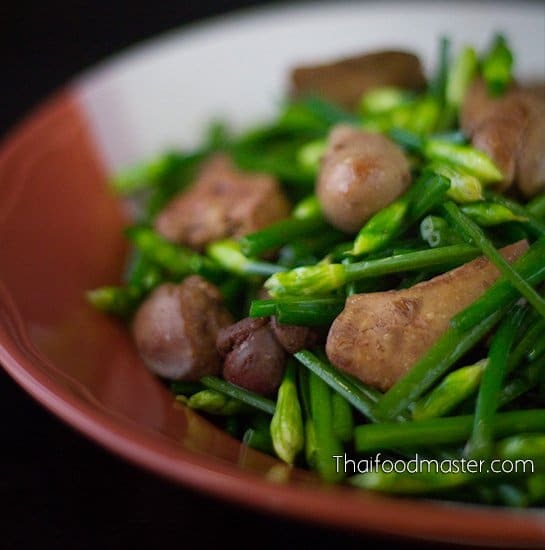 This dish always takes me back to the food stalls of Chiang Mai with its vivid color and tartly savor. 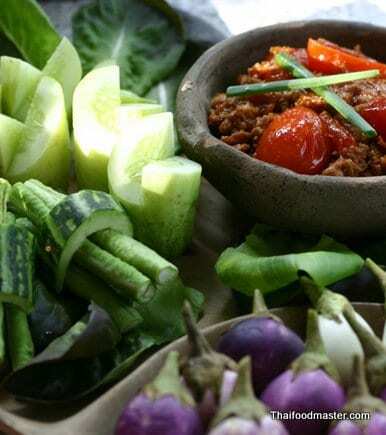 This dish traces its origins to the “Tai Yai” minority (ไทยใหญ่ Shan people) and is traditionally made with a local variety of grape tomatoes ( บะเขือส้ม; ba kheuua sohm) and fermented soybeans cakes (Tua Nao ; ถั่วเน่า). 2 cups grape or cherry tomatoes, halved and bruised. 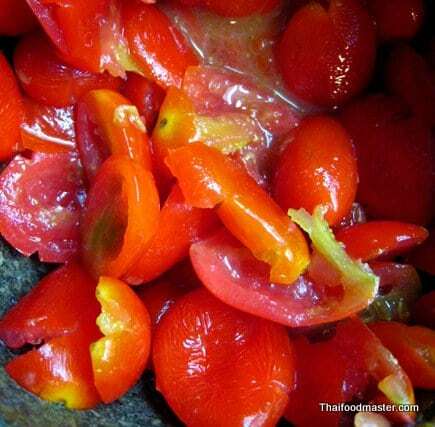 Start preparing the chili paste by pounding in a mortar and pestle the dry chilies with the salt as abrasive. Pound it very fine. 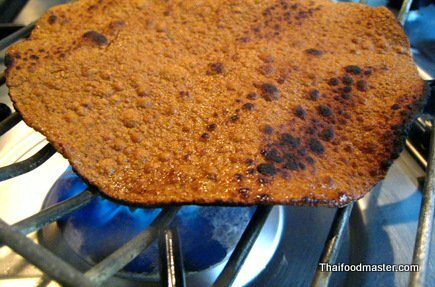 On an open flame lightly roast the Tua Nao until fragrant. 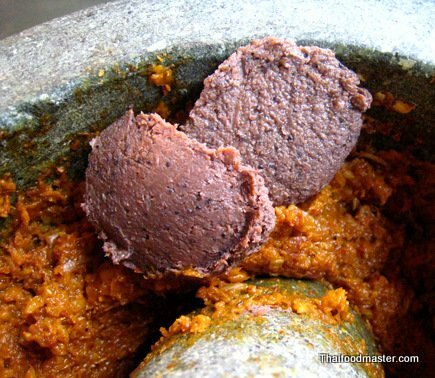 Add roasted Tua Nao to the mortar and pound it fine. 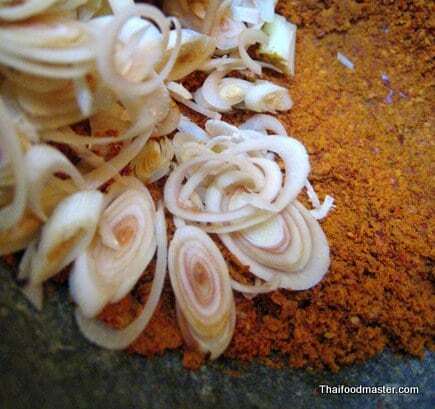 Add chopped lemongrass to the mortar and keep pounding until the lemongrass is well incorporated. Add shallots, garlic, and pound together until you get a smooth and homogeneous paste. 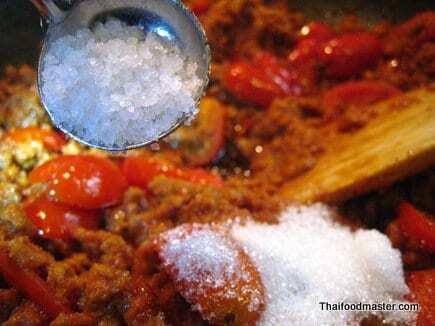 Add fermented shrimp paste and mix well. Set aside. 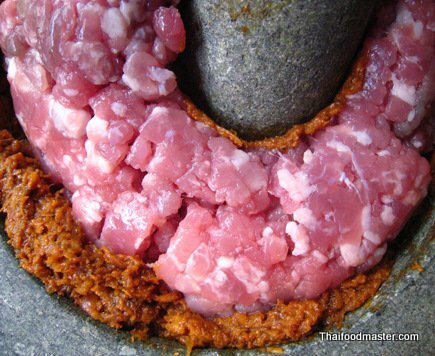 In a mortar and pestle pound the chili paste, minced pork and tomatoes until the chili paste is well incorporated into the pork. 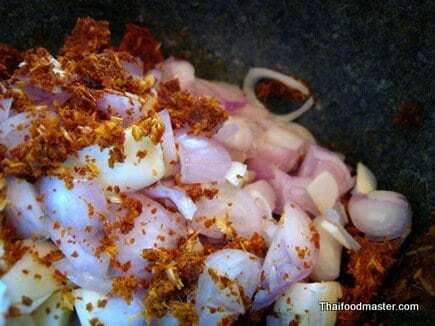 Set a wide frying pan with the oil on a medium heat and lightly fry the garlic until light golden. 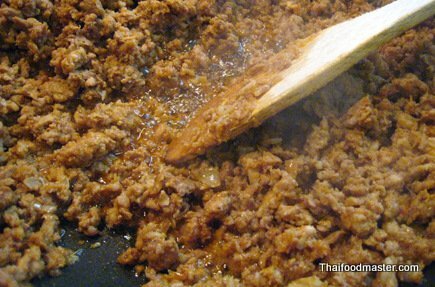 Add the chili paste, tomatoes and pork mixture and fry while constantly mixing until the pork is done. 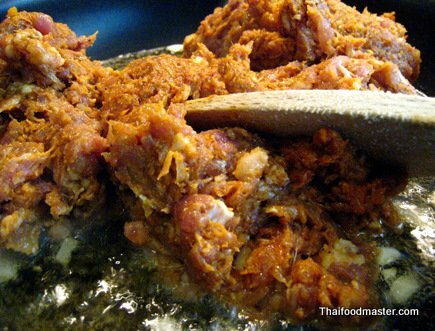 The pork will release its juices into the pan, keep frying until all the pork liquids evaporates and you can hear again the sizzling frying sounds. 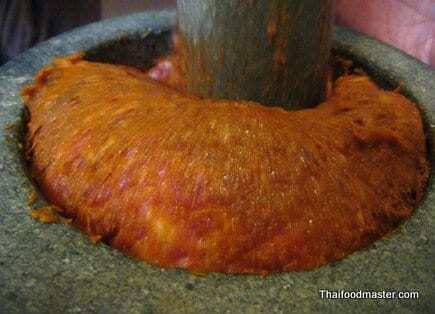 In a mortar and pestle roughly bruise the remaining tomatoes to release their juices. 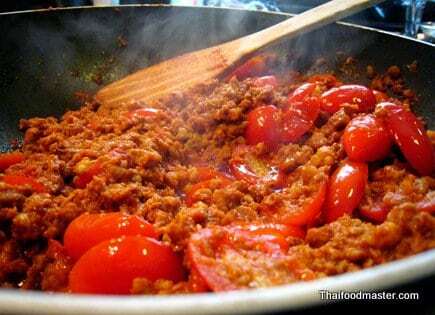 Add the tomatoes to the frying pan and keep frying on a medium low heat until the tomatoes soften and releases most of their juices. 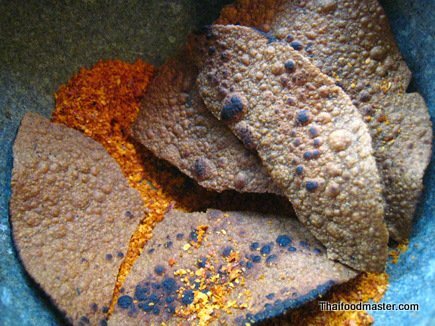 Season flavors with salt and sugar and add bit of water if too dry. Serve with an assortment of fresh seasonal vegetables. this is the one of my favorite menu. 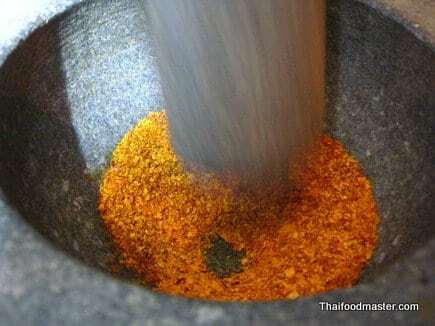 that is i add Coriander Seeds in Chili Paste Ingredients and in a mortar and pestle mix well the chili paste and tomatoes until the chili paste is well incorporated into the tomato. i like your website so much..
Are there any substitutions for the Tua No, or can it be left out? 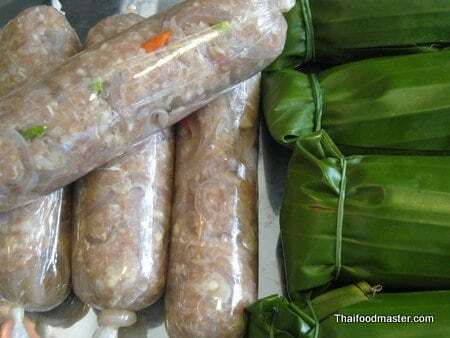 Whew, I tried this one tonight and unfortunately added WAY too much shrimp paste. 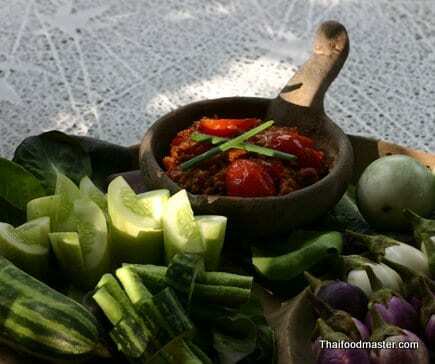 The taste of the lemongrass, or really ANYTHING else was totally masked by an overpowering shrimp paste taste. Oh well, you can’t win em all. I am still adjusting myself to the proper ratios of some relatively foreign ingredients. 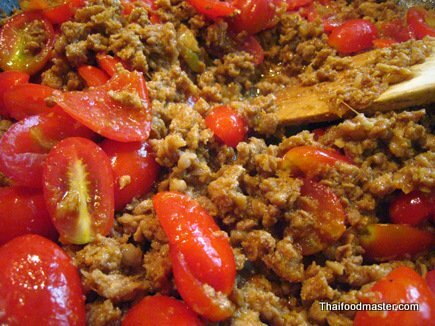 I’ll have to try this again sometime, without adding so much shrimp paste, and maybe adding some more lemongrass. For the record, your website is fantastic. 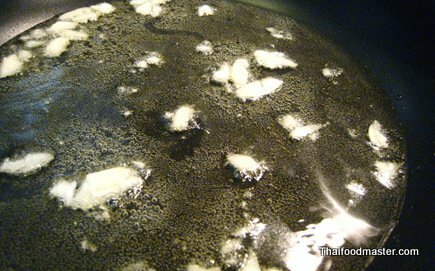 I will chalk this one up as an unfortunate learning experience in my usually delicious goal of becoming a competent (caucasian) Thai chef. 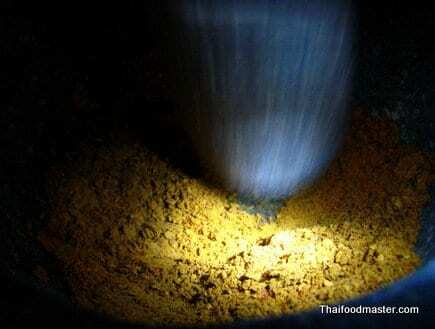 commercial shrimp paste brands available in the west are mostly of low quality and very salty with a foul smell. 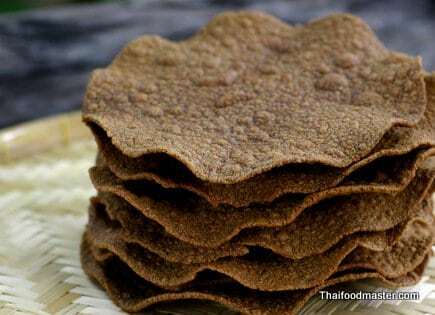 We will soon make available artisanal products through this website which you could order and cook delicious Thai food.